Home / Futures Blog / Technically Speaking: Markets You Should Be Watching Right Now! Technically Speaking: Markets You Should Be Watching Right Now! This is a sample entry from Brian Cullen’s email newsletter, The Cullen Outlook. Buying on a hold of strong support and a test of the 50% retracement. The Relative Strength Index (RSI) indicator is also showing the market to be oversold at this point. August Feeder Cattle has found a strong support level of 150.25. 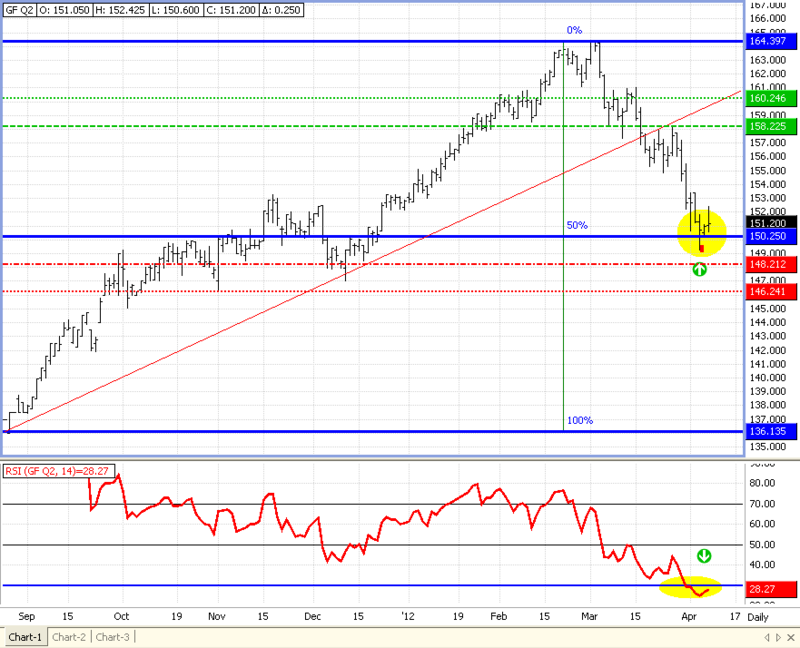 This is also a 50% retracement of the low of 136.00 in September and the high of 164.40 in mid-March. I look for a bit of retracement to get long this market through the remainder of the summer. I look to get involved at this level of old resistance and now new support. Consider buying the August Feeder Cattle 158.00 call with 145 days until expiration for roughly 200 points or $1,000.00.